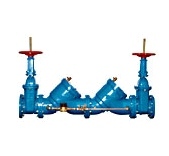 Backflow Testing Langley | PureWater Installations Ltd.
Backflow Testing: Is it really necessary? Protecting our drinking water is a huge task, and is becoming of primary importance to all cities and municipalities in British Columbia and throughout Canada. 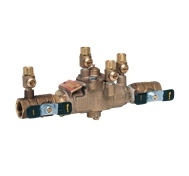 In order to protect our water from contamination most municipalities have introduced “Cross Connection Control” bylaws mandating annual backflow device testing to insure that all assemblies remain in good working order and have not failed due to fouling, internal damage or wear, creating a potential for the undesirable reverse flow of potable water as a result of backpressure or backsiphonage. PureWater Installation Technicians are trained and certified by the BC Water and Waste Association (BCWWA) to perform testing and any required maintenance or repairs on all types of backflow devices, both residential and commercial. 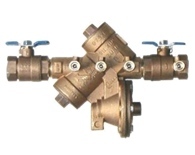 Common backflow device installations may include lawn irrigation, fire sprinklers, dental office vacuum pumps and chair line, restaurant pop machines, dishwashers, and mop sinks, boiler feeds, and commercial premise isolation, to name but a few.